Hook up 11 pedals at once for less wire clutter and a stress-free performance. Designed for larger pedal boards, the Power-All Cable-11/R daisy chain cable features 11 right-angle male barrel plugs with spring-loaded jacks for extra secure connections so you don't have to worry about losing power mid-solo. The 28-gauge cable has an oil-resistant sheath and provides you with a 10" length between jacks to allow connection of larger and odd-sized effect pedals. 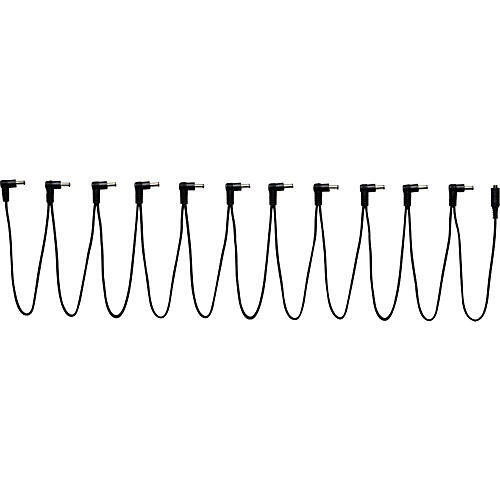 Clean up your setup with this 11-in-one daisy-chaining cable. Order now.